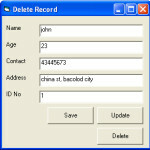 This tutorial in Visual Basic 6 will teach us on how to delete a record in MS Access. 1. 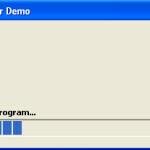 We were able to connect our Visual Basic into MS Access. 2. We have learned how to insert a record in MS Access. 3. We have also learned how to update the record in the database. Kindly download the source code of the previous tutorial (Updating a record in MS Access using Visual Basic) to be able to follow the procedures correctly. If you are wondering on how to upload a picture in a database using the file path or the path where the picture resides, then this tutorial is just for you. Welcome to our next tutorial in Visual Basic. 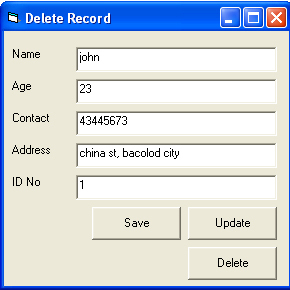 This tutorial will teach us the procedures on how to update a record in MS Access. 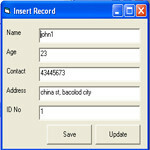 This is the continuation of our previous tutorial which is Inserting a record in MS Access database. 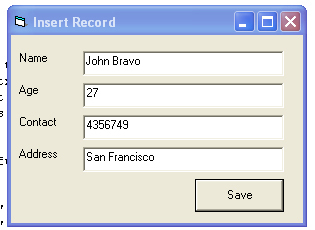 Insert a record in MS Access through Visual Basic – we have done on this part. 1. Open your visual basic 6. Create a new project and select Standard EXE. 2. By default there is only one Form (Form1). Rename the Form1 into ProgressBarFrm. 3. 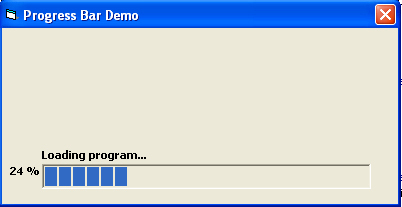 Before we create a progress bar, we must include Microsoft Windows Common Controls 5.0. 4. To include that component kindly go to Project in the menu bar and select Components. In our previous tutorial, we have discussed the step by step procedure on how to connect visual basic to ms access. This time we’re going to learn how to insert a record in our database. We will provide you the step by step procedure on how to do that and source code will be provided for your reference. 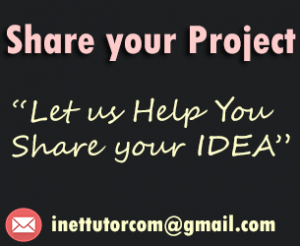 Since this is the continuation of the previous project, kindly download the source code of the previous tutorial. (How to connect Visual Basic to MS Access). 1. Open the database (Data.mdb) and create a new table (in the menu, select Create and click the Table icon). 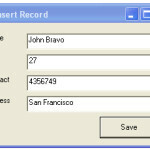 This tutorial will guide you to connect your visual basic 6 to ms access database for you to develop a database application in visual basic. 2. Kindly open your visual basic 6 program. 3. On the file menu, select New Project and select Standard Exe. 4. By default there is only one Form (Form1). The while and the do while statements in Java Programming. We will introduce you to other types of looping statement in Java (while and do while loop). while loop is a control structure in Java that executes a block of statements while a condition is true. Hi there! This next lesson will be on understanding for loop in Java Programming. This type of loop will repeat Java statements for a specific number of times. Welcome to our next Java lesson and in this lesson we are going to learn about the switch statement. A switch statement is just like if else if statement the difference is that there is only one expression/variable to be tested in switch statement. This Lesson will teach us one of the control flow statements in Java programming: the if statement. Just like every other programming language the if statement in Java is one way form of incorporating decision making on our program. This statement is used to test if the expression is true. In order for the action statement to be executed the expression must return true, otherwise the program will do nothing.